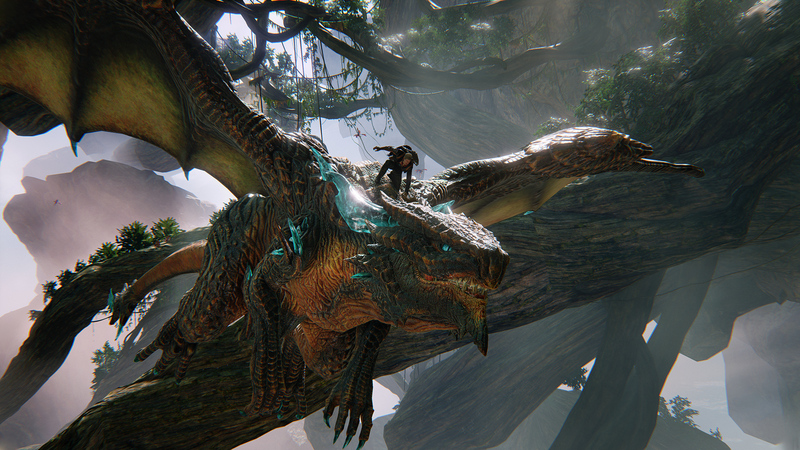 Scalebound is an upcoming action RPG that will be available as an Xbox One exclusive in 2016. PlatinumGames is behind this release, with such titles as Bayonetta and Metal Gear Rising: Revengeance to their name, and it's already drawing huge crowds despite it being far from finished. The game will follow a young, eccentric warrior named Drew and his faithful dragon companion Thuban as they travel through their world of Draconis. Information about Scalebound is not scarce since the first gameplay footage was released at Gamescom earlier this year. Those who have followed the upcoming release already know that Drew and Thuban will work together, with Thuban assisting the player in fights while also being able to receive direct commands. 4-player co-op was also announced, so there will be multiple levels of teamwork to the game that include working with other players and their dragon companions as well. The game itself offers many unique features with giant landscapes to fight in, and massive creatures that even Thuban will struggle to contend with. Microsoft and PlatinumGames livestreamed Scalebound at an event in Japan, and although it is played at the same part as their presentation at Gamescom, it isn't scripted this time. The live footage more accurately shows how the game will look and play, and it also continues past where their Gamescom presentation ended at. They also displayed some of the customization features that will be available for Thuban, with each option making him look completely different. The game is still in a pre-Alpha stage in its development, but is already boasting many impressive features. Fans can only look forward to Scalebound getting even better as it closes in on its release date sometime in late 2016. Swifty, Nauglamir and God like this.